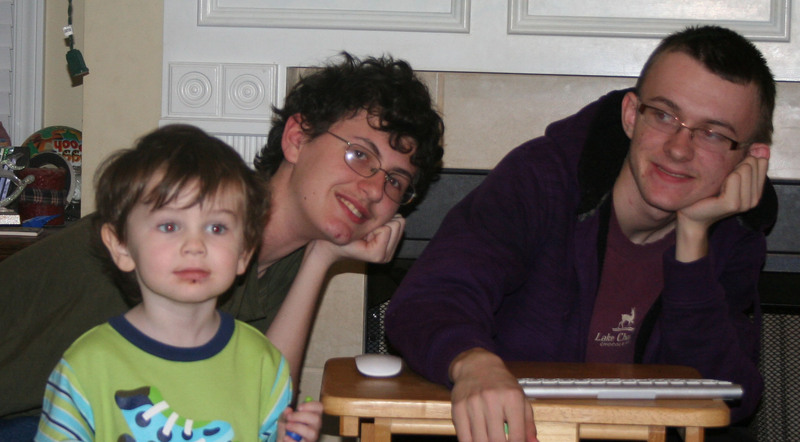 We now need to add 4 sprites (graphics) for our game. These will be added as objects in the next lesson and then added to the ‘room’ after. 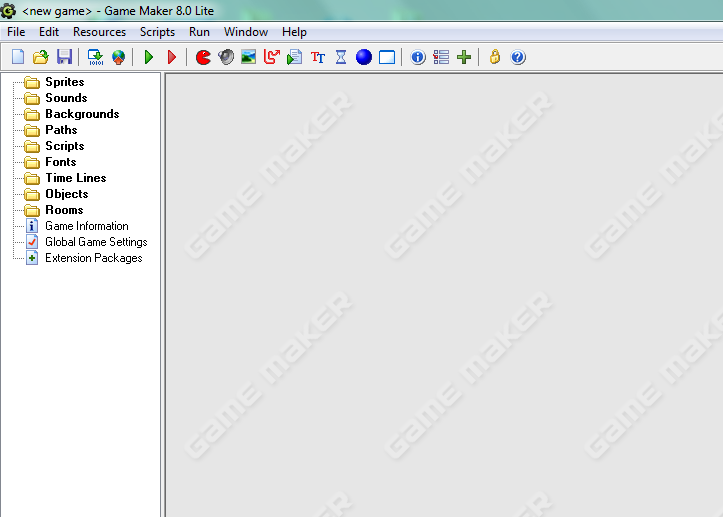 There are several preloaded graphics included with the lite version of Game Maker that we can use. They include some balls, a few bat options, lots of barriers, and a wall graphic. 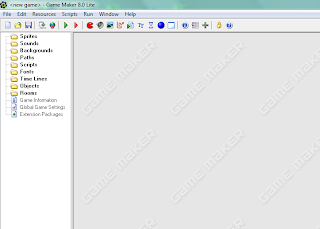 To add a sprite the first step is to right click on Sprites on the left and choose Create Sprite. Next use the Load Sprite button to add a graphic to the Sprite definition. – In this case we are going to choose a Bat graphic. 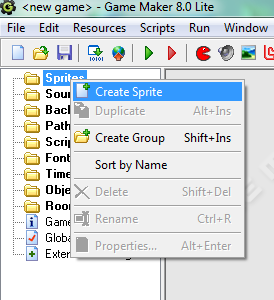 While choosing a graphic for the sprite you can use the up folder button to move up a folder and double click on the folders to open a folder and move back down. will let you change the settings so that you can see the graphics. The ball and bat are within the folder ‘Bouncing Balls’, Wall is within the ‘Tutorial1’ folder, and the Barriers are within the ‘Bouncing Balls/Stones’ Folders. Associate a graphic with the sprite and choose OK. Tomorrow we will associate objects with each Sprite. Many thanks for the information, and your web site truly looks good. Exactly what wordpress design are you using?